It's been a busy week for me with lots of internet issues at home slowing down the work, but I am pushing on with Central Otago and other stuff at the moment. After Ida Valley, we head back to Oturehua, and beyond that, Wedderburn. This is an interesting section because of the climb over the Wedderburn Pass, which is the highest of the line's various summits, and because the map of Oturehua is already completed, I have elected to cover both stations in one article series. 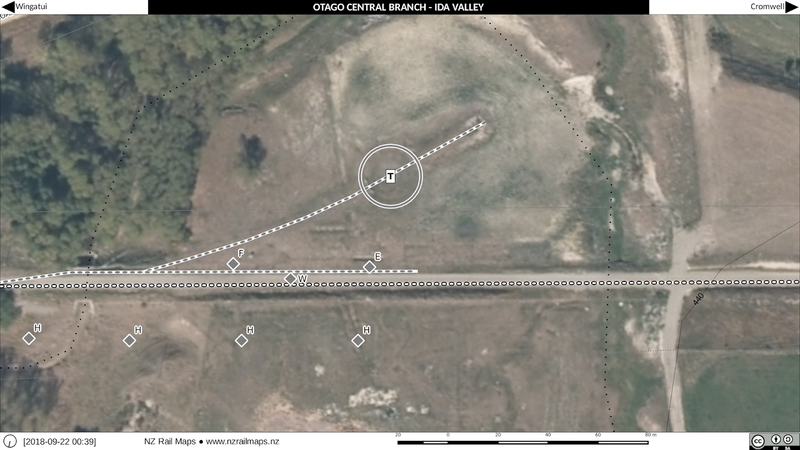 Here's a look at the Oturehua township with the map over the historical aerial photography. 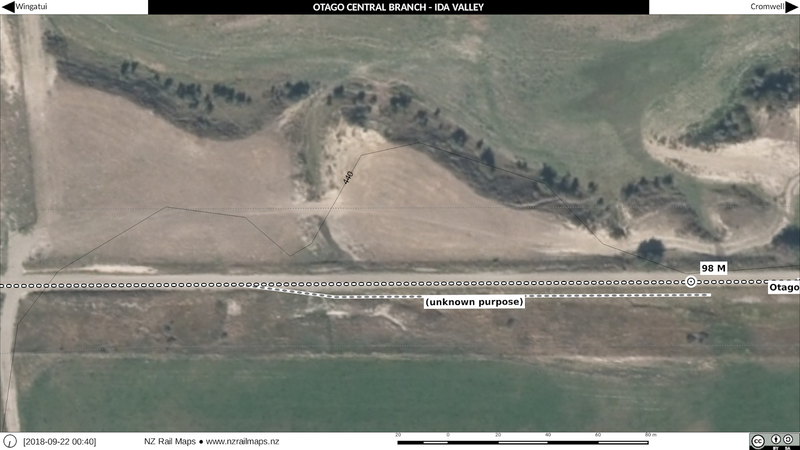 Oturehua has very few remnants left today as all the station buildings and platforms have gone. There is only one railway house left near the station. Having evaluated some diagrams and produced a full set for the Main North Line, I am expecting to produce a full set for the PNGL fairly soon. This will update the status of the line, as it is being reopened to Wairoa, with Kiwirail work trains active at present. Watch this space for further detail about that diagram set coming out soon. This diagram set will cover the entire length of the PNGL, rather than just Napier-Gisborne as was previously published with a map volume. The mosaics for the Methven Branch stations have now all been updated so the next job which will take a little bit of time tomorrow is to render out all the map tiles to be imported into Qgis to start mapping these stations. The next job is to create the station mosaics for the Springburn Branch as well to be able to start mapping that line. I also have to go through hundreds of diagrams that I have taken copies of at Archives New Zealand for both those branches so that I know which ones are for which station. So it could be a week or two before any mapping in these two areas gets under way so that I can ensure I have all the resources I need for referencing all the maps. Here are the final maps for Ida Valley. 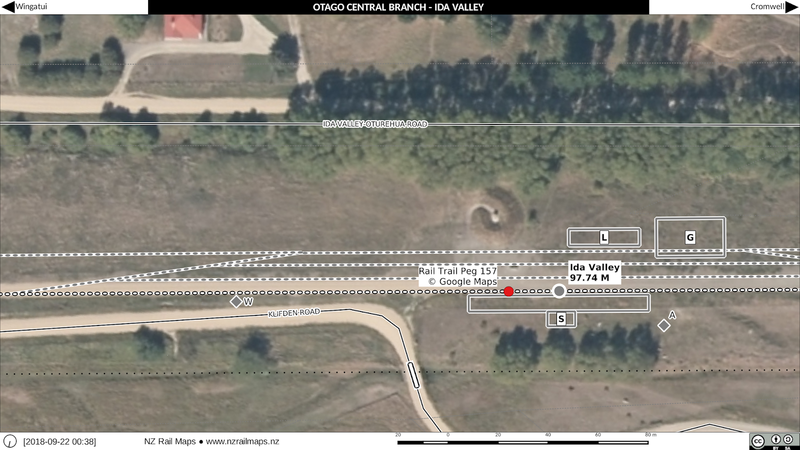 I first wrote about Ida Valley station some five weeks ago and had hoped to complete the map quite quickly, but various other issues have meant this has not happened as soon as expected. 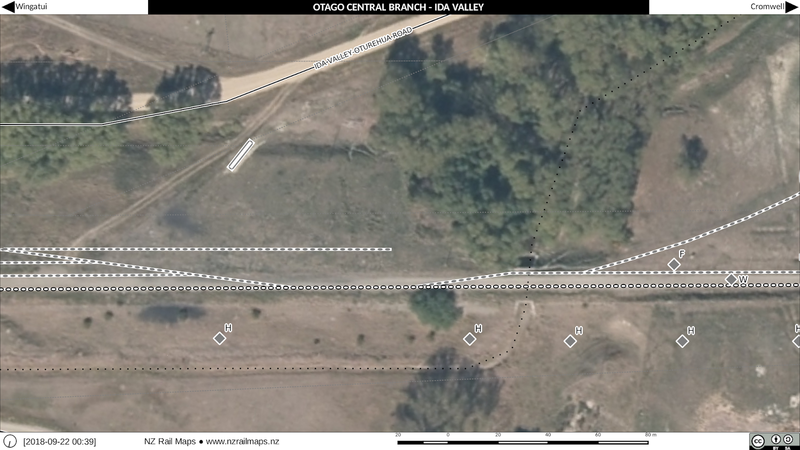 It is obvious by now that the maps for the Otago Central Railway will not be completed by the end of this year as I had hoped. However, the map of Oturehua which is the next station up the line shouldn't take long so I hope things will continue along at a satisfactory rate from here, whatever that should turn out to be. These maps are combinations of a number of sources, chiefly Dangerfield/Emerson, chainage books and file materials copied from Archives New Zealand upon my visit to Dunedin last December. There are some discrepancies with the D/E diagram published on page 106 of the third edition but I am satisfied there are sufficient additional sources to be reasonably sure that the stockyards in particular were in the location shown. As a result of the work undertaken at Archives New Zealand over the past couple of weeks I now have a pile of info about the Springburn Branch. The next stage is like Methven to go through it all. I have been busy with other stuff for the past week or two and still have a lot of mosaic stuff to do for both lines as well as some of the other stuff I was working on. Today I was at Archives viewing files for the Westerfield military camps. There were five camp sites near Westerfield Station, between 1942 and 1948. Remnants still exist on the Langdon farm in Langdons Road, Westerfield. 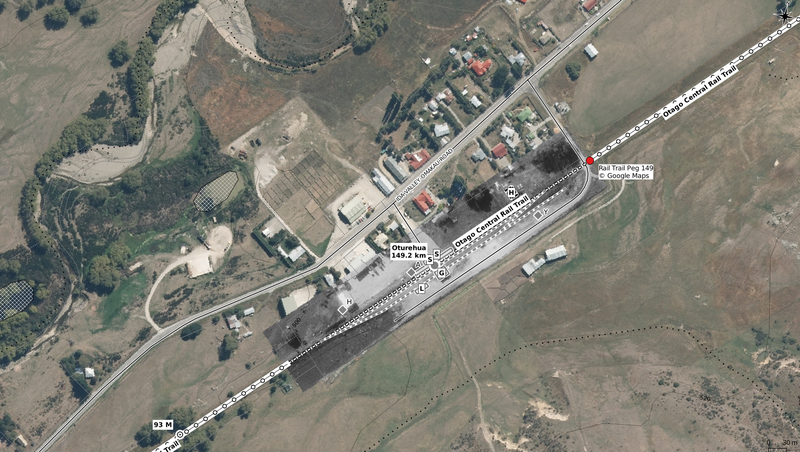 It would appear that the track diagram I have of Westerfield for the siding that was put in is for Westerfield station rather than a specific military camp site as all diagrams obtained and copied from Archives New Zealand for camps A-E do not show any railway sidings within those camps. Westerfield as seen in 1941. The railway station is lower centre. 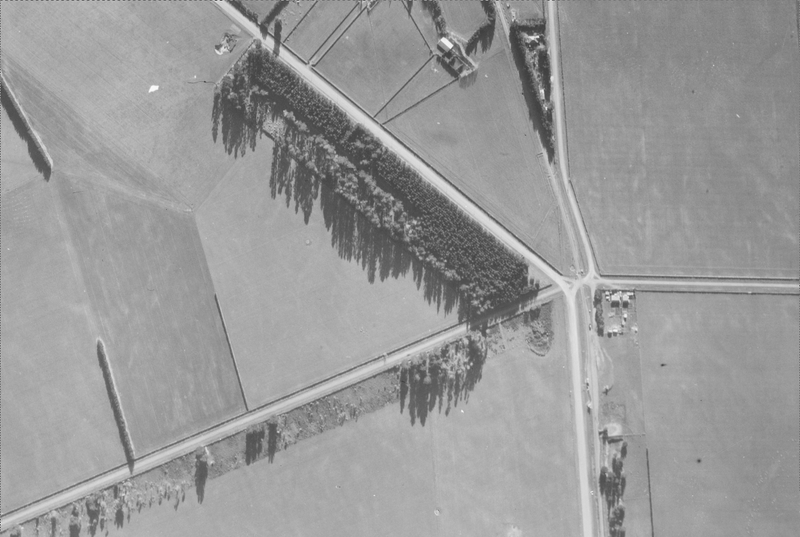 In the upper centre-left the plantation trees are the Langdon family farm, which was the site of Camp A. Since the establishment of the camps took place in 1942 we have no aerial photos of any of the installations. I will later on post full aerials (historic and present) of all the military camp sites as part of map drawing. I have started researching the Springburn Branch today. This will be a quick project like the Methven one, with only three morning sessions to look at 103 files. It will take in the latter day history of the line as well as all of the technical information such as the layouts of each station yard, sidings, bridges and other structures, etc. Today I looked at the bridge and general files and got to understand a lot about the line and why it closed down. The line was basically closed in three stages. Firstly the section from Mount Somers to Springburn. First proposed for closure in 1930, it managed to hang on until the Second Labour Government, being shut in 1957. The section from Cavendish to Mount Somers was going to be the next section closed in the mid 1960s with Cavendish becoming the railhead. The reason for this was that the bridge over the Ashburton River was completely stuffed by that stage, it still had most of its original timber from being built 80 plus years before and needed a complete replacement. What happened instead was the line closed back to Valetta at the beginning of 1968, and then about six months later back to Tinwald. As we know the Plains Railway then purchased a section from Tinwald to Frasers Road crossing and that's all that remains today. The Springburn Branch is one of those lines that you wonder how it was ever built in the first place. Mount Somers and Springburn were fairly small settlements and every other station was tiny. It's true that there was a lot of agricultural production and a fair bit of minerals, but the line in total was less than 50 km long. Most of these lines were built for purely political purposes because the economics certainly were never going to work out. In other news, the project website is getting an update. I am considering whether to just put all of the content links into the Google Plus collections because people can subscribe to them and they are easier to update than the Trainweb site. Of course one option would be to have the whole website hosted on the likes of Wordpress, but that will cost more. The Trainweb site is free, and with domain cloaking I can make it look like it is hosted under my domain name, so it isn't too bad an option overall. The site becoming more of a frontend onto Google Plus is possibly what will happen however. After my "field trip" up north in June I discussed the ideas for making the maps easier to use on a handheld device. The assumption being maps could either be viewed on the Google Photos site online, or downloaded to a device and browsed offline. After considering a range of options, adding navigational arrows and labels to the existing maps was felt to be the most easy solution for making it easy for people using the maps to know which way to swipe or click to view the next map in the direction they would be travelling in. The map production template for 16:9 landscape view was then customised to add these navigational labels. I did a little testing before I got asked to produce the maps for the Tawa Historical Society's book, and I put the nav labels onto the THS maps, as well as every other map I have produced in the last couple of months. The nav labels have proved themselves well enough for me to roll out the first full set of maps using them. To recap, I promised to churn out all of the older map series, the ones that used to be hosted on Flickr, as diagrams (that is to say, greyscale maps without an aerial photo background) just so that people could at least use them, until all the maps are updated. Because around the same time I received a request for maps of the Main North Line, I'm pleased to say that today I have produced a set of 168 maps of the Main North Line. 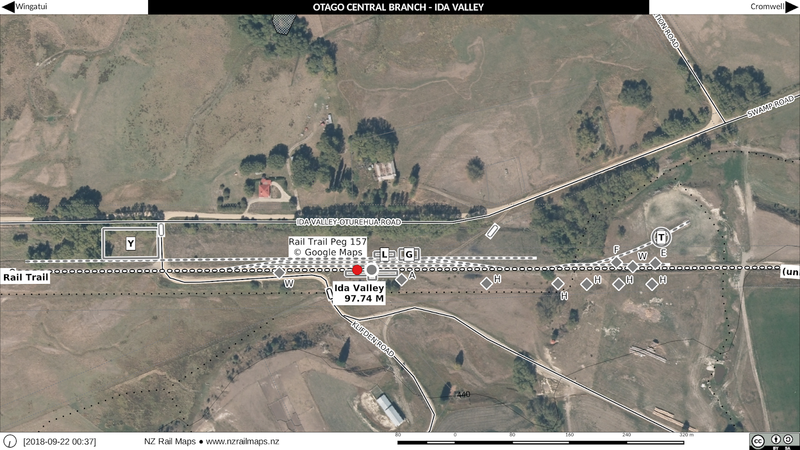 They are now available online in the NZ Rail Maps Google Plus collection for Volume 10. As time permits more of these diagrams will be added so that at least there are some maps available for people to look at. Google Photos (where the maps are hosted) will allow you to download an entire album in a single zip file so that you can save the maps onto your favourite device for offline use. Quick update as to where things are up to right now. I was busy over the weekend doing some local transport activism so there hasn't quite been the expected progress. 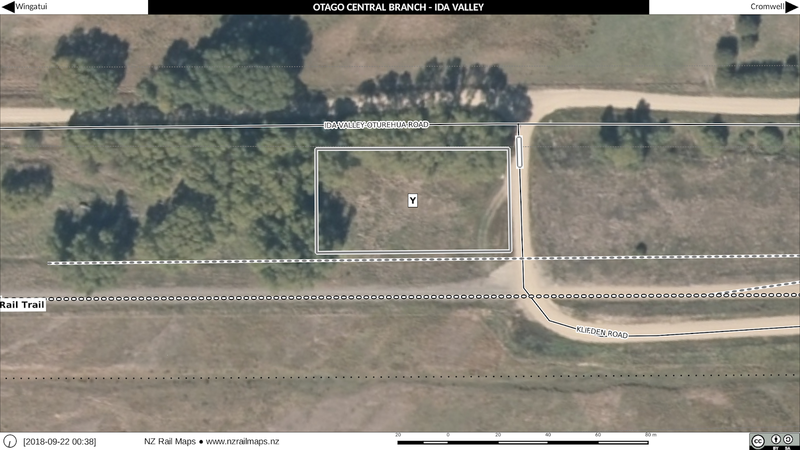 However I expect to have the Methven branch tiles finished today ready to begin mapping and also push on with the Otago Central Railway at Ida Valley which is where I last reached.